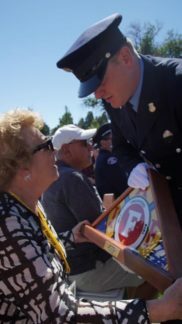 Deputy Chief Bert Fisher served the community of Oak Bay from 1954-1988 with the Oak Bay Fire Department. He sadly passed away on February 26, 1993 of cancer. Over the years the provincial government has been adding new types on cancers to the presumptive cancers list for Firefighters. 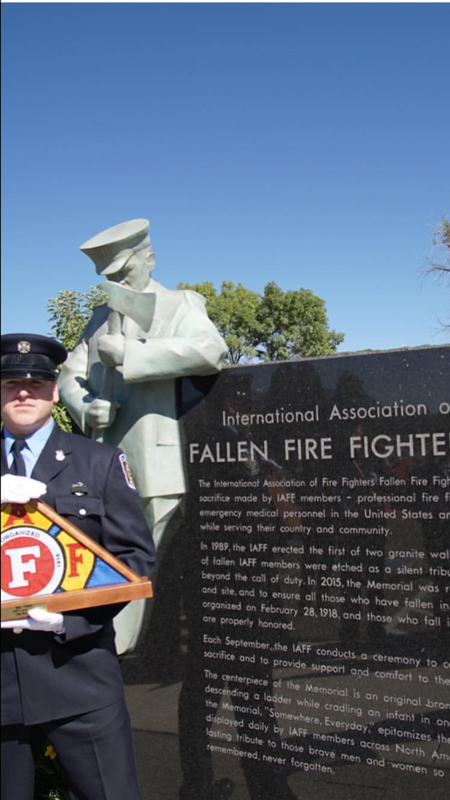 Recently the Oak Bay Firefighters Local 1856 applied to the International Association of Firefighters to have Bert Fisher’s name added to the Memorial Wall in Colorado Springs. 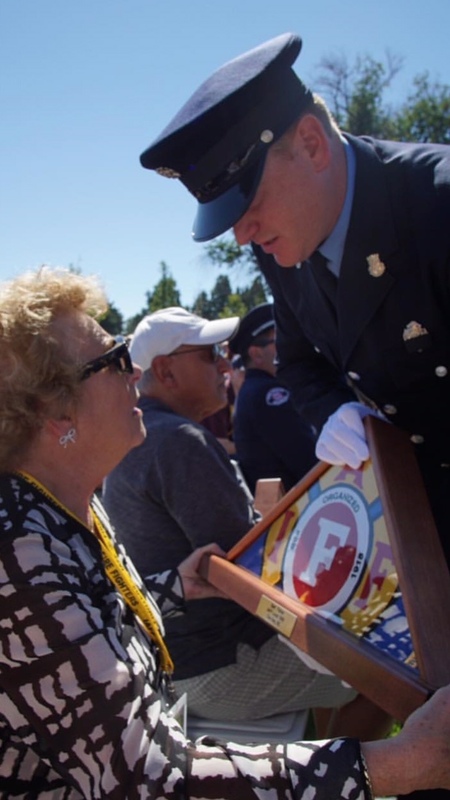 Earlier this month Oak Bay firefighter Cody Brown attended the IAFF Wall of Honor and presented a flag to his grandmother in remembrance of his grandfather Deputy Chief Bert Fisher.